An ever growing and diverse group of sponsors and vendors will once again be critical to the success of this year’s Fest. We invite you to review our different sponsor levels and vendor options, each of which provides an opportunity to showcase your business. ﻿We are expanding our outreach and trust that this part of the Fest will be beneficial both to the sponsors and the mission of the Foundation. WMDF is also seeking donations of raffle baskets and for door prizes﻿. Raffle basket and door prize donors will be recognized in the Event program and on the WMDF website. Commitments and cash donations must be received by September 1, 2018. In-kind donations must be received by the specific date agreed upon by the foundation. All raffle donations must be delivered no later than September 15, 2018. For more information contact or email WMDF for more information. Your Nonprofit name and/or logo will appear on the WMDF website for one year with a link to your website. Eighth-page full color ad in the DachtoberFest Event Program. Please complete Advertisement Order form. A complimentary 10x10 (D x W) booth at the in one of the vendor buildings. Please complete Vendor Application. Additional booth space may be available at a special sponsor rate of $35 per 10x5 booth area. One 6 table, two chairs and access to electric. Two vendor announcements during the event promoting your booth. Your company name and/or logo will be Acknowledged on the WMDF FB page and appear on the WMDF website for one year with a link to your website. Quarter-page full color ad and Sponsor Recognition in the DachtoberFest Event Program. Please complete Advertisement Order form. A complimentary 10x10 (DxW) booth located in one of our vendor buildings. Additional booth space, if available, may be reserved at the special sponsor rate of $35 per 10x5 area. Contact WMDF for availability. Please complete Vendor Application. One 6 foot table, two chairs and access to electric. Two vendor announcements during the event promoting your business and/or booth. Sponsorship will be acknowledged in promotional emails. Upgrade to a half-page full color ad and Sponsor Recognition in the DachtoberFest Event Program. Please complete Advertisement Order form. A complimentary 10x15 booth located in one of the vendor buildings. Please complete Vendor Application. A total of 3 vendor announcements during the event promoting your business and/or booth. Swag Bag Inserts: You provide 200 advertisement inserts or promotional items and we will include them in the WMDF Swag Bags! Drop them in the mail, we do all the work! Your company name and/or logo will also appear on the home page of the WMDF website for one year with a link to your website; and banners displayed at our event and specifically recognized as a top tier sponsor. Upgrade to a full page full color ad and Sponsor Recognition in the DachtoberFest Event Program. Please complete Advertisement Order form. A complimentary 10x15 booth space located in a prime location in one of the vendor buildings. Please complete Vendor Application. A total of 4 vendor announcements during the event promoting your business and/or booth. Your company name and/or logo will also appear on promotional materials, including posters and promotional banners displayed at the event, specifically recognized as a top tier sponsor provided sponsorsihp received by September 1, 2018. 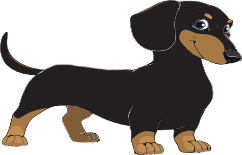 Upgrade to a premium full page full color ad and Sponsor Recognition in the DachtoberFest Event Program. Please complete Advertisement Order form. Prominent placement of your company banner at our event in the Main Events - Foundation Building. Sponsor responsible for hanging banner. 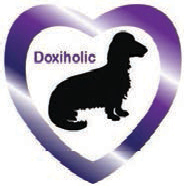 A complimentary 10x15 booth at the Washington Metro DachtoberFest located in the main events building. Additional booth space, if available, may be reserved at no additional charge. Contact WMDF for additional space. A total of 5 vendor announcements during the event promoting your business and/or booth as well as recognition as a Doxie-holic sponsor. 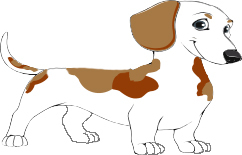 The Washington Metro DachtoberFest is seeking raffle and Winner's Circle* Prize basket donations from businesses and vendors valued at least $150. 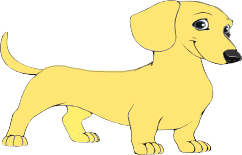 Sponsorship benefits include a 1/8 page full color ad and recognition as a Raffle Basket or Winners Circle Basket Sponsor in the DachtoberFest Event Program and on the WMDF webpage. Please complete Advertisement Order form. *Winners Circle baskets are for the Best in Show and Grand Prize winners our Fest events. Upon request, Winner Circle Prize donors maybe have a photo with the winning recipient of their basket.Please contact WMDF no later than September 1, 2018 to make arrangements to deliver or ship donations to WMDF. Donations must be received prior to September 15, 2018 to guarantee inclusion in the raffle. If the donation is too large to ship and you prefer to personally deliver it during set up on October 5 or 6, please email a photo of the basket and notify WMDF as soon as possible.